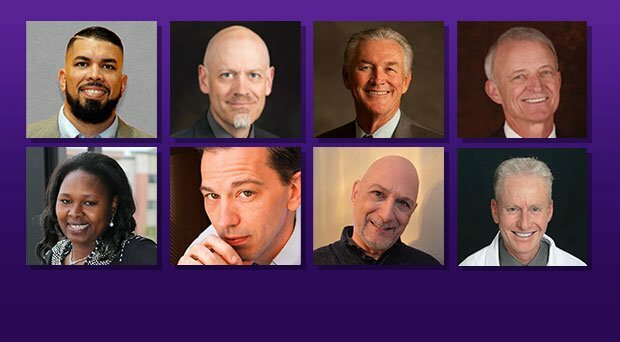 “Remarkable” is an apt term to describe the eight members of Grand Canyon University’s 2015 Alumni Hall of Fame who are scheduled to be inducted during a special ceremony Saturday on campus. These distinguished graduates are caring for unwanted children, eradicating diseases through vaccines, contributing to federal immigration policy and leading people through the dark tunnel of mental illness. They have taught thousands of students the value of education, shaped the talents of tomorrow’s great actors, debated Christian theology around the world and served as a trailblazer for Mexican basketball players. Representing each of GCU’s colleges and athletics department, the new Hall of Famers were selected for their professional achievements, contributions to the community and reflection of the University spirit and Christian ideals in their lives. Each found his or her unique purpose at GCU and is making an impact on the world, said Kimberlee Marlow, director of alumni relations. The University community and guests are invited to attend the induction ceremony and hear the inductees’ stories firsthand, beginning at 3:30 p.m. Saturday on the second floor of the Student Union, as part of the annual Homecoming/Canyon Day festivities. The University also plans to live-stream the event; click here to view. When he came to GCU, Calvin Baker admitted he felt a little out of place, but not for long. In fact, it launched a 42-year career in education. Baker graduated with a B.S. in elementary education and social sciences in 1973 and went to work as a fifth-grade teacher in Peoria. 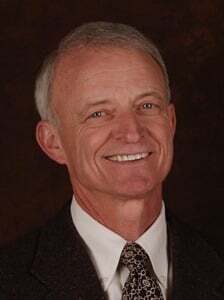 But for nearly 27 years, Baker has been superintendent of the Vail School District in the Tucson area. The Vail District began with fewer than 500 students and has grown to serve nearly 13,000 from Tucson to Benson. Baker said the district is building its 19th school. He also spent nearly 10 years as a principal in northern Alaska, working with students from Inuit Eskimo families. Those experiences began with what he learned in the classroom at GCU. Baker, 63, has earned honors as Arizona Superintendent of the Year and Mentor of the Year from the Arizona Daily Star in addition to the Lifetime Achievement Award from the Metropolitan Education Commission in Tucson. He’s also a former president of Arizona School Administrators. Under Baker’s leadership, the Vail District was recognized by the Arizona Department of Education as the top-performing school district for two straight years and has won countless awards in addition to national recognition for its rapid success. Vail shares its academic success with a digitized “instructional playbook” called Beyond Textbooks. More than 100 school districts and charter schools across Arizona, California, Wyoming and Idaho use the fee-based service. Baker and his wife of 42 years, Nancy, who also graduated from GCU, have fond memories of life on campus. The couple has six children and several dozen “unofficial and official” foster children, including two adopted kids. “I got my degree in elementary ed, but when I was going to school I had absolutely no intention of doing that more than a couple of years,” Baker said. 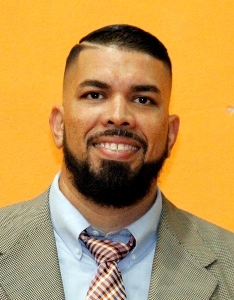 When Horacio Llamas Grey came to GCU in 1994 after two seasons at Pima Community College, he said his mindset was to play professionally in the National Basketball Association. “A bunch of people told me I was crazy to say that because a Mexican player had never been in the NBA,” he said. Two years later, he was exactly where he had planned to be. Llamas Grey was named NCAA Division II Player of the Year, was signed by the Phoenix Suns and, after a few months in the Continental Basketball Association, which at that time was the pro league one rung below the highest level, became the first Mexican-born player in NBA history. The 6-foot-11 center spent parts of two seasons with the Suns, playing in 28 games, but also was a starter on the Mexican national team, which meant his basketball season never really ended. The wear and tear on his body eventually caught up with him and resulted in 10 separate surgeries, mainly on his knees and Achilles. “I learned the hard way that you have to take some time off to get ready for the next season,” he said. After taking a year off to heal following his time with the Suns, he tried to make a comeback with the Washington Wizards, where Michael Jordan was closing out his career. Llamas Grey talks with admiration about Jordan, who was shooting right alongside him at early morning workouts. “He always talked to me like I was a regular player,” Llamas Grey said. His favorite Jordan memory was the time they were playing on the same team in an intrasquad scrimmage. The score was close as the clock wound down, and Jordan was supposed to take the final shot but was double-teamed and passed back to Llamas Grey, who hit the deciding 3-pointer. Llamas Grey didn’t make the Wizards’ roster and went back to Mexico to play for a Mexican Basketball League team in Cancun, Pioneros de Quintana Roo. He tried to get back in the NBA one more time, with the Milwaukee Bucks in 2004, but was not signed to a contract. One such camp was organized in just 10 days and had 180 kids in attendance. A painful experience with a family member in the early 1980s changed the way Dr. Stephen Hall thought about his future and the impact he wanted to make on health care. Hall had returned from two U.S. Army tours during the Vietnam era and was considering going to college to study engineering, but he was not interested in enrolling in Arizona State University because of its size. His father, from whom Hall had been estranged for 20 years, was in poor health and needed a caregiver. Hall filled that role for the last six months of his father’s life, learning a lot about diabetes and congestive heart failure. He then enrolled at GCU in the most challenging discipline he could find: chemistry. “It was a great time — organic chemistry, physical chemistry, biochemistry — and I had incredible teachers,” he said. Hall found the class sizes to his liking, and he received plenty of individualized attention from his professors. The staff was always helpful, too. Graduating in 1990 with a B.S. in Chemistry, Hall found his GCU experience an ideal foundation for his Ph.D. studies in Biological Sciences at Purdue University and as he completed post-doctoral graduate work at The Scripps Research Institute. There, he was part of a team that invented and patented vaccine technology used to immunize people against Hepatitis B, Hepatitis C and Anthrax. Today, the 59-year-old scientist is founder, chief executive and scientific officer at Pentamer Pharmaceuticals, in West Lafayette, Ind. It conducts research and develops products in the areas of vaccines, biomaterials and others. It is working on an Ebola vaccine. Hall also has a heart for people, having worked in group homes during college and volunteering as a court-appointed special advocate on behalf of abused and neglected children in the legal system. He is the single father of three children and the grandfather of a 2-year-old girl. When he’s not working on solutions to global health issues or reading to a toddler, Hall competes nationally in martial arts and is co-owner of Impact Zone Fitness, a CrossFit and martial arts facility. His specialty: Brazilian jujitsu. Hall, who has not been back to campus since graduating 25 years ago, imagines he will be quite surprised when he arrives Saturday for the Alumni Hall of Fame Induction Ceremony. He’s especially interested in seeing the new buildings rising alongside Camelback Road, where students in the new College of Science, Engineering and Technology will learn to be pioneers as he did at GCU. As Michael Kary prepared his acceptance speech for his induction into the GCU Hall of Fame, he realized just how lucky he is to be here. Years ago, as Kary was preparing to graduate from Scottsdale’s Horizon High, he landed a full-ride scholarship to Southwestern Bible College. But following graduation, he felt God was opening the doors to GCU for him and had something other than music ministry in mind for him. Claude Pensis, GCU’s dean of the College of Fine Arts and Production, helped Kary piece together money from choir, theatre and academics to pay for his education. After graduating from GCU with a B.A. in theatre in 1998, Kary bolted for San Diego to pursue an acting career, a journey that also took him to New York City and Los Angeles. However, a serious family illness and a desire to live closer to family persuaded Kary to move his wife and children back to Phoenix in 2010. He landed a role in COFAP’s production of “Pirates of Penzance” following the college’s reinstatement after a four-year hiatus, then interviewed with Dr. Lisa St. Louis, then Dean of the College of Liberal Arts, among others, who offered him a position teaching English at GCU. He believes GCU is where God wanted him to be. “I tell people I didn’t choose to come to GCU, God chose to shove me through the door,” said Kary, 38, who met his wife, Karin, as a freshman. He has four children, Izaak (11), Johnathan (8), Ethen (6) and Grace (3). Kary accumulated a number of accolades in his 17 years after leaving GCU. 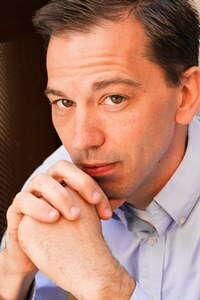 He earned a master’s in performance at The Old Globe at the University of San Diego professional actor training program. 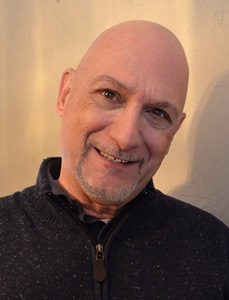 He performed in New York City and was an original cast member of the musical “Fame on 42nd Street.” He is also the co-founder of Nobody in Particular, an award-winning production company in Los Angeles, where he produced three television pilots. Hanging on the wall in his office, Kary has signed posters from his productions, framed college degrees and memories of his accomplishments. But he is more fond of where he came from than where he’s been. His fondest memories, and his heart, belong to GCU. “Over there is where I first kissed my wife. Over there is where I had my first lead role,” Kary said, pointing toward locations on campus from inside his office. 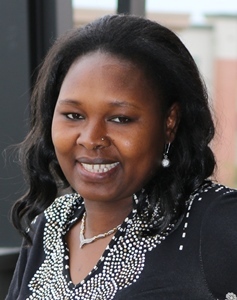 While Maggie Kigen was a nursing student at GCU, learning about anatomy, organic chemistry and something called pathophysiology, she also worked three jobs and raised two children. Kigen wasn’t able to spend much time on campus outside of class time. But one thing she tried never to miss: the opportunity to pray with and for other nursing students each week on campus. They would arrive early in the morning, hold hands and talk to God and to each other. Kigen grew up in the western Kenya town of Eldoret with her parents and 20 siblings and stepsiblings. She was drawn to nursing because quality, available health care was sparse in her homeland, especially as AIDS-related illnesses became an epidemic in the 1990s. Many parents died as a result, and Kigen decided to start a home for their orphaned children. The day she opened the five-bed Eldama Ravine Children’s Home facility, 21 tots were on the doorstep. Kigen knew she had to do more, and so she came to the United States, eventually settling in Phoenix. She found a church, South Peoria Baptist, and a Christian university. GCU awarded her a partial scholarship, and Kigen dove into her studies. She loved her community health course as well as learning about geriatric nursing and said her clinical experience at University Medical Center in Tucson was invaluable. Kigen graduated with a B.S. in nursing 2010, then went on to earn an M.S. in nursing: family nurse practitioner in 2014. “Getting to see a doctor in Kenya is a problem, and so I think, if I become a practitioner, I can make a bigger impact,” she said. The best part of her job as a nurse in the Intensive Care Unit at Maryvale Hospital in Phoenix is showing compassion for people who are at their most vulnerable. And when she compares notes with other nurses who did not graduate from GCU, she said she always feels her training was more thorough and that she’s the better caregiver. Kigen, who has three children — ages 19, 17 and 1 — and two stepchildren, sends money to her orphanage, now home to 30 children and visits as often as she can. Once she pays off her student loans, she plans to go back to do more. Mitchell Laird didn’t need to see the campus. He was just thrilled to transfer from a junior college and become one of GCU’s top baseball pitchers. Laird took that advice. He earned a B.S. in business administration from GCU, then a J.D. from Arizona State University and immediately went to work for GCU. He was the University’s general counsel for nearly 30 years and also taught business law, accounting, and speech and debate. More than 10 years ago, as GCU’s attorney, Laird led the negotiations and legal work around the nonprofit University being sold to a for-profit investment group. That difficult time for the then-struggling University eventually led to it becoming a publicly traded company with a bright financial future. Today, Laird is owner and president of the law firm Laird & Associates, P.C. 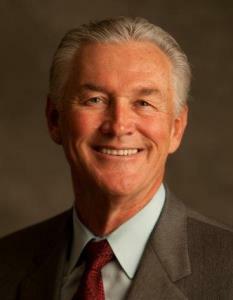 He is also the owner and CEO of MCL Enterprises, Inc., the largest Burger King franchise in Arizona, and CEO of the nonprofit Canyon Institute, which awards nearly $1.2 million in annual grants and gifts to Christian organizations. Laird, 64, has testified before Congress about Arizona immigration law and federal immigration reform. He is on the board of directors of the Arizona Chamber of Commerce & Industry and serves on the Arizona Citizens Clean Elections Commission. Laird was a GCU senior when he met his wife, Becki, then a freshman cheerleader. The couple has been married for 42 years and has three adult sons — Matthew, Michael and Mark — who all graduated from GCU and served overseas in the military, including multiple tours in Iraq. As a student, Laird remembered feeling consistently inspired by the GCU professors and administrators he looked to for examples about how to make a positive impact in the world. By the time Dr. Tim Sieges arrived at GCU in 1974, he had already attended three other colleges in three years. His other attempts at college education didn’t pan out and he had little faith his fourth attempt would work. Sieges grew up on farm in Buckeye but moved to Oregon when he was young. He had heard of GCU and decided to enroll to pursue a degree in counseling at a Christian college. He had just become a born-again Christian during the early 1970s Jesus movement that spread across the western United States and wanted Christ at the center of his education. He was then and is now. For the past 28 years, Sieges has been clinical director of counseling ministries at North Carolina-based Wycliffe Bible Translators, an international mission organization that translates Scripture into various languages to people around the world. He has lived in Dallas and Papua New Guinea, overseeing Wycliffe’s counseling department and conducting post-trauma counseling with people with mental illnesses. Before arriving at GCU, Sieges cared little for academics, but the University’s emphasis on education, small class sizes and quality professors encouraged him to pursue higher education degrees and to want to help people. He credits GCU for helping him find his way. “I was just this country boy who went to three different colleges and was making it up as I went,” said Sieges, 61, who graduated in 1975 with a B.S. 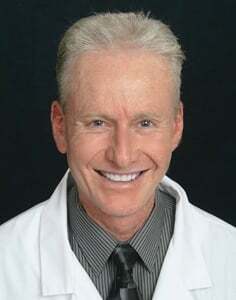 in behavioral science and also has a master’s degree from Montana State University and a doctorate from South Carolina University. The dedication to education Sieges found at GCU was like nothing else he has experienced. Sieges hasn’t visited GCU since he graduated and has only seen the campus’ growth through commercials and online. He said he occasionally catches GCU commercials on TV in North Carolina and is excited to see how much the campus has grown from the humble 500-student Baptist college he attended 40 years ago. When Dr. James White talks about his GCU experience, the first name that comes up is Dr. D.C. Martin, a professor who was one of the original faculty members when the University opened its Phoenix campus in 1951. White, 52, has gone on to have an impact on Christian apologetics that has become legendary, too. 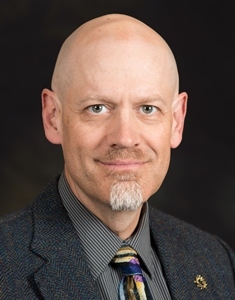 He is director of Alpha and Omega Ministries in Phoenix and an elder of the Phoenix Reformed Baptist Church, and was a professor who taught Greek, systematic theology and apologetics, including a brief stint at GCU. White also has written or contributed to more than 24 books and has participated in nearly 150 moderated debates worldwide. He calls himself “the most active Christian apologist debating Muslims” and also has debated proponents of Roman Catholicism, Jehovah’s Witnesses and Mormonism, as well as critics such as Bart Ehrman, John Dominic Crossan, John Shelby Spong and the late Marcus Borg. Among those debates was one titled, “Reading Each Other’s Scriptures: A Christian/Muslim Debate,” in a mosque last October in Durban, South Africa. He and his wife, Kelli, were married between his freshman and sophomore years at GCU, and they still live in Phoenix. They have two children and one grandchild. White hadn’t been on campus for a while before he was a guest lecturer last year, and like most people who haven’t seen GCU recently, he was stunned by the growth. Two of his enduring memories of the campus were trying to find a parking spot in what now is the intramural field and taking a golf class in which the students practiced by hitting plastic balls while sometimes dodging rattlesnakes in a field on the north end of campus. The group will meet again next week. But White first has a plaque to pick up at GCU. Contact the GCU News Bureau at (602) 639-8018 or gcutoday@gcu.edu. Congratulations to Michael Kary – it’s so great to see him teaching/leading others in his role at GCU.